Flipping heck... I hadn't heard this song in years until hearing it earlier today. I remember loving it when I was kid. Utter crap now, but boy it sure gave me flashbacks of my youth. 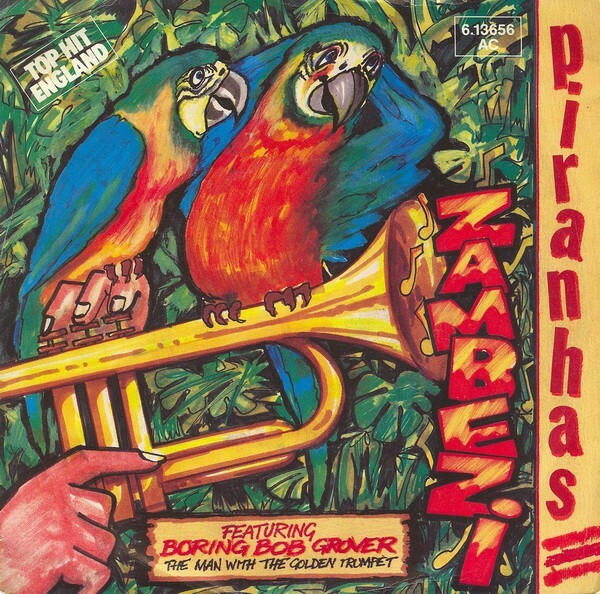 A cover of Zambezi by Lou Busch and his Orchestra, this was released back in 1982 by The Piranhas (and featuring Boring Bob Grover - The Man With The Golden Trumpet) where it entered in to the UK Top 40 in September/October when I was but a 5 year old lad with obviously no decent taste in music. Just say I packed my plastic bag and went away. So if he's asking questions, you'll know what to say. You don't get lyrics like that anymore. Yikes.... That's been a long hiatus, but I'm back with another "Song That Reminds Me Of My Childhood". 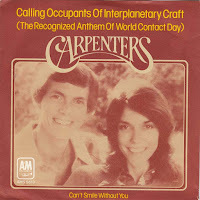 This time, we go back to when I was VERY little with The Carpenters version of "Calling Occupants of Interplanetary Craft", originally released by them in September 1977 (I was only 7 months old), and in fact is a cover from a song by Klaatu which was used by the pirate radio station Radio Caroline as an opening song for their midnight transmissions - Thanks Wikipedia. 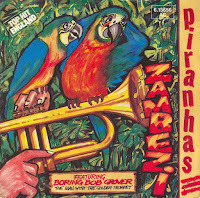 The original is not a bad version, but I prefer The Carpenters cover, especially the intro with All Hit Radio and the supposedly Mike Ledgerwood on the request line. 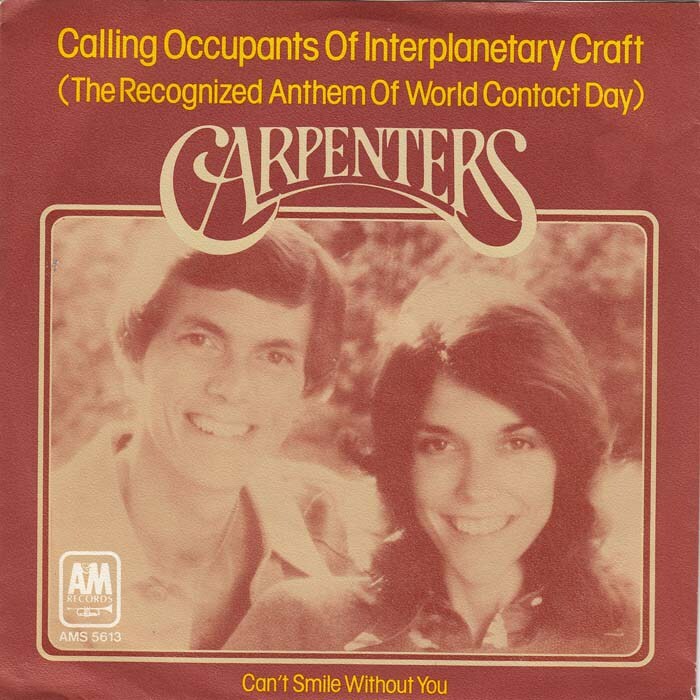 I vaguely remember first listening to this one night in the 80s when my Dad was listening to a Carpenters album, and I've loved it ever since. It really doesn't get more 70's than this. Hey babe, what would you like to hear?